Maria Marconi is a nationally recognized expert, teacher, and consultant in the area of nursing education, curriculum development, and nursing program assessment and accreditation. She has consulted and presented extensively in areas of NCLEX preparation and academic support for pre-licensure nursing students. Marconi is one of two faculty at the School of Nursing who has earned the NLN’s certification in nursing education (CNE). 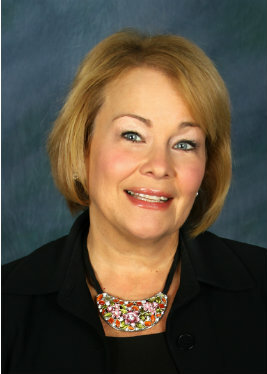 Her 2014 doctoral dissertation from the Warner School of Education at the University of Rochester explored Academic Support Programs for Accelerated Nursing Students and Factors Influencing NCLEX Success in Accelerated Nursing Students. She is currently an assistant professional of clinical nursing at the School of Nursing, where she is also the specialty director of the Master’s in Nursing Education program as well as the specialty director of the Health Care Organization Management and Leadership program. Marconi is also a national NCLEX faculty and consultant for Assessment Technologies, Inc. (ATI), a technology-based educational, assessment, testing, and certification consulting company for nursing and health care institutions. Originally from the Finger Lakes area in New York State, Maria holds a bachelor’s in nursing from CW Post College of Long Island University, a master’s in Nursing Administration and Health Care from Georgetown University, and a doctorate in Higher Education Leadership from the University of Rochester. Marconi, M. (2010). Preparing for the NCLEX-RN; Safe and Effective Care Environment: Management of Care.. Ohman, K., Davis's Q&A for the NCLEX-RN Examination. Philadelphia: FA Davis. Marconi, M. A. in Ricci, S. (2009). Essentials of Maternity, Newborn and Women's Health Nursing. .
Warren, D., Lind, P., Marconi, M. (1992). Bedside Empowerment: Enhancing the Image of the Professional Nurse. .